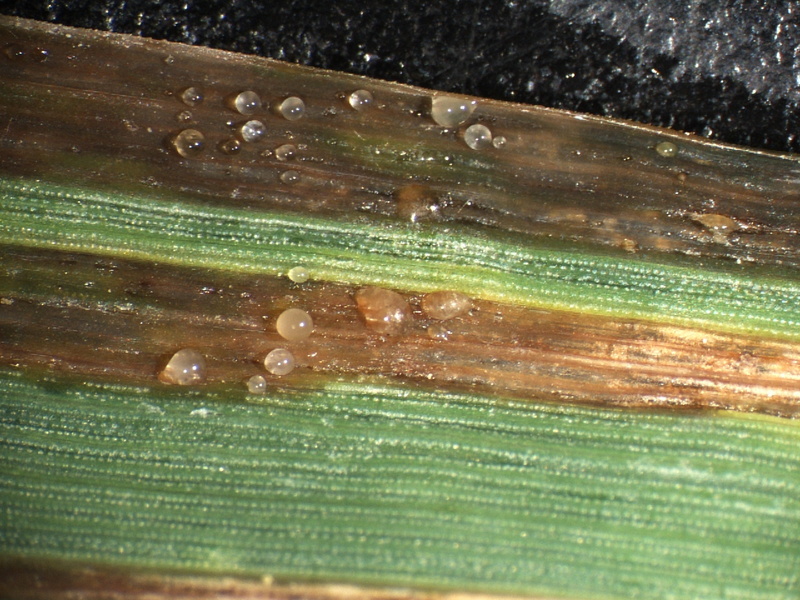 Anything that wounds the plant, such as hail, wind, or mechanical damage, can create an entry point for the bacterium. Temperatures between 60 and 77°F favor disease development, along with cloudy, humid, and rainy weather. 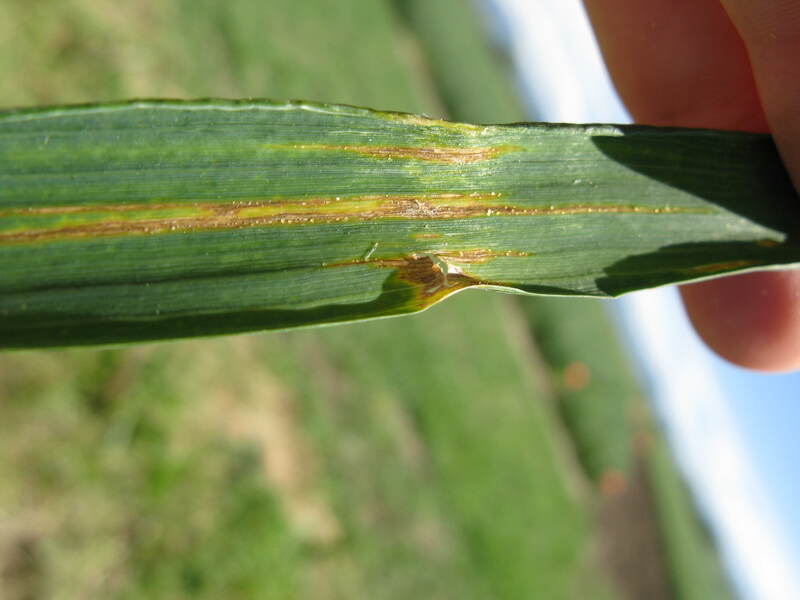 Wheat is most susceptible to infection near FGS 10.0 (boot stage). 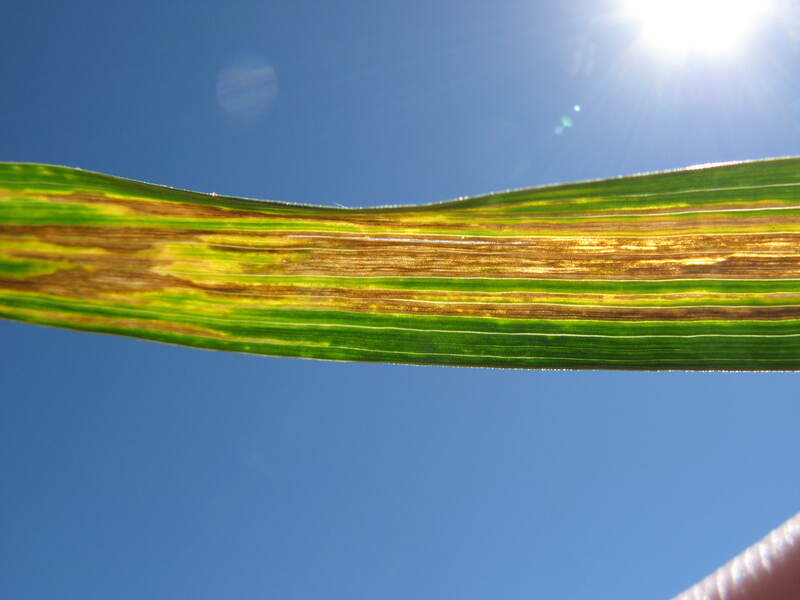 Planting resistant varieties is the only known way to manage bacterial leaf blight. Bacterial leaf blight lesions with backlighting. 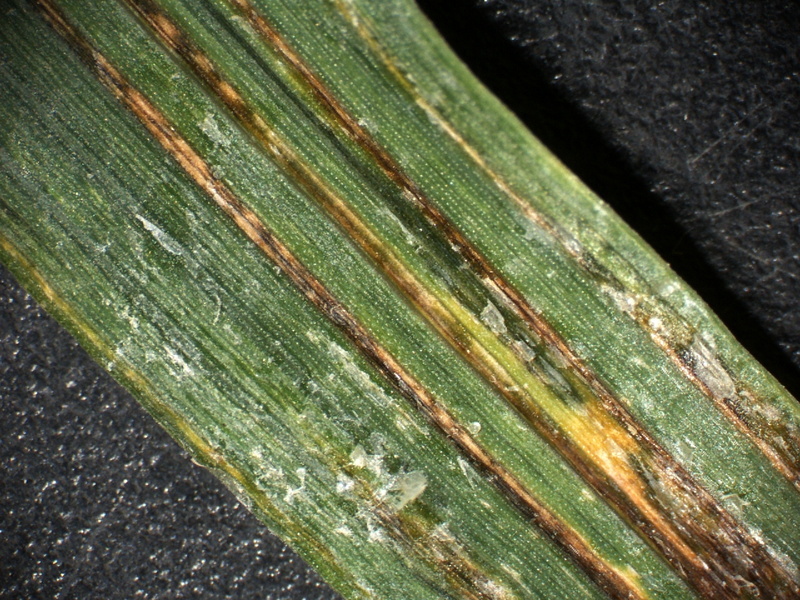 Bacterial leaf blight lesions with bacterial exudate. 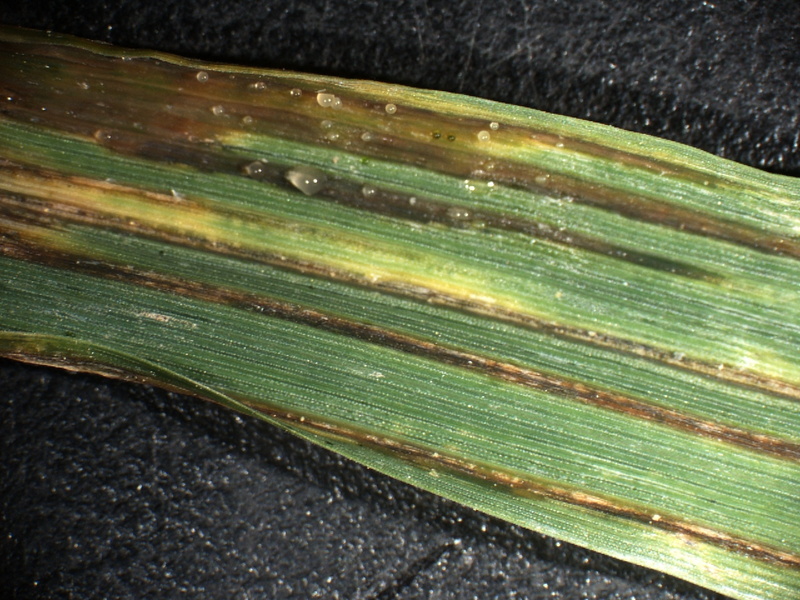 Bacterial leaf blight lead lesions on wheat.